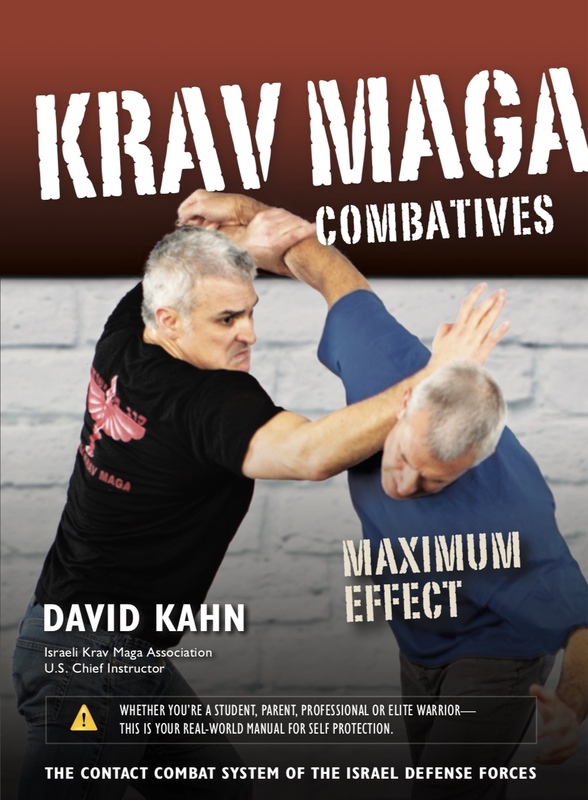 The latest book from the Israeli Krav Maga Association’s U.S. Chief Instructor, David Kahn, is being released on June 7th. “Krav Maga Combatives: Maximum Effect” is designed for krav maga trainees, security-conscious civilians, law enforcement officers, security professionals, and military personnel alike who wish to refine their essential krav maga combatives, improve their chances of surviving a hostile attack and prevail without serious injury. Combatives are the foundation of krav maga counter-attacks. These are the combatives of the original Israeli Krav Maga Association (Grandmaster Gidon). It is irrefutable that you need only learn a few core combatives to be an effective fighter. Simple is easy. Easy is effective. Effective is what is required to end a violent encounter quickly, decisively, and on your terms. This book stresses doing the right things and doing them in the right way. Whatever your martial arts or defensive tactics background or if you have no self-defense background at all, this book can add defensive combatives and combinations to your defensive repertoire. Our aim is to build a strong self-defense foundation through the ability to optimally counter-attack.